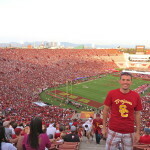 A sun-saturated October day in Los Angeles had Southern Cal fans flooding every square foot of tailgating real estate. 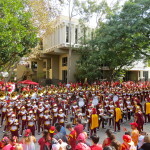 The USC band and song girls “fought on” their way through campus, through the masses of maroon and gold, entertaining and building hype for this massive battle. 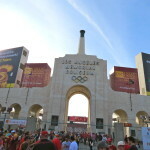 Many Utah fans made the trip in hopes to witness their team’s first victory in the city of Los Angeles since 1916. 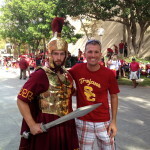 As the Coliseum filled and Tommy Trojan stabbed his sword into the field, you almost got the sense that Utah had already lost. 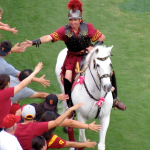 The Trojan swagger is often impenetrable. 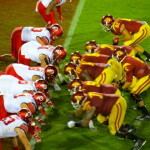 But, the Utes kept their winning- streak momentum chugging in the first quarter. 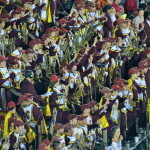 A 14-7 Utah lead kept USC fans hushed. 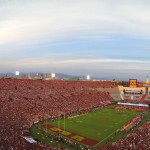 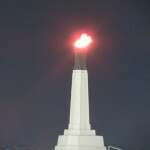 But, a second quarter Trojan explosion highlighted by Cameron Smith’s 54-yard interception return for a touchdown restored the Coliseum to order. 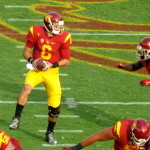 It would be one of Smith’s three interceptions on the afternoon. 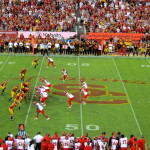 The offense led by QB Cody Kessler and WR Juju Smith-Schuster kept the Trojans’ offensive weapons sharp long into the second half. 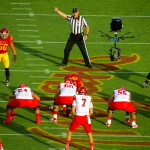 USC would hand Utah its first loss of the season, while jumpstarting their own that appeared to be buried. 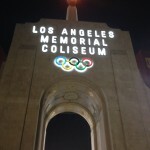 We started the game high up in the stands taking in both views downtown LA and the famed Hollywood sign all outlined by stunning mountainous terrain. 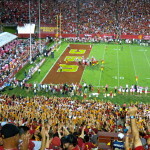 We ended the game amongst an exuberant throng of crowd-rush-ready students. 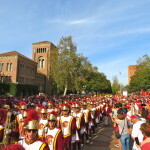 The band blasted “Fight On!” as the USC song girls bounced to the beat, and as the clock hit zero on a huge victory for USC, a few students attempted to bolt for the field – only to be forcefully tackled by security. 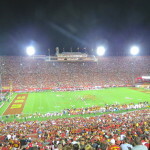 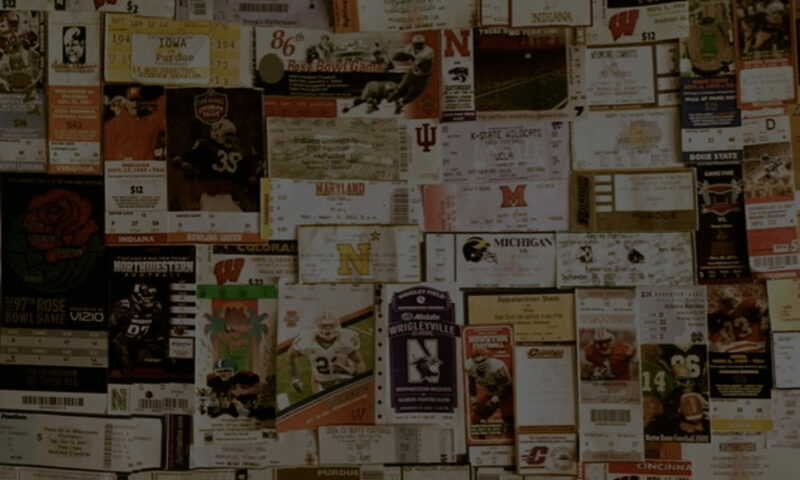 There was no need to flood the field – as though these moments at USC were few and far between. 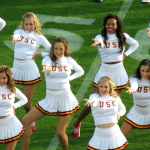 Despite the recent slump, the Trojans have regularly defeated high profile teams, and it seems like it won’t be long before tonight’s headline becomes a theme.